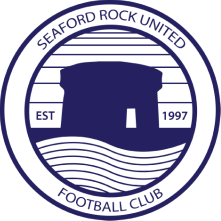 Now the club’s honorary secretary and treasurer, the former UCD man became an instant fixture in the first team upon his arrival at “Seafield” (as he is wont to call it) in 2011. Leading the line in the difficult circumstances of a relegation season, Sully’s remarkable work rate stood out, even if his goal tally didn’t fairly reflect his efforts. He made up for that the following season, when he managed an extraordinary 21 goals, the highest tally of any first team player for at least a decade, firing the side to promotion and earning the Player of the Year award. Mark’s astonishing turn of pace makes him a nightmare for defenders, and he is equally capable of playing on the wing as a central striker.